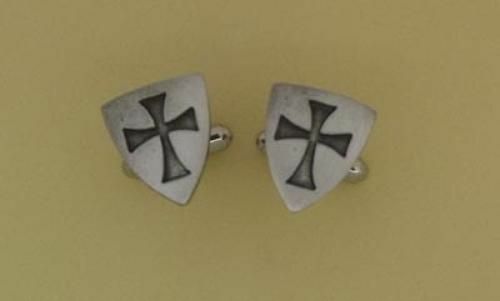 Our Templar Shield Cufflinks are the perfect gift for the Mason or Templar in your life. They are hand-made in England from lead-free pewter. Comes complete with gift box with magnetic fastening. Buy the Templar Shield Cufflinks with confidence from the UK’s leading Templar giftware retailer.